Nap time. Yes, I get a nap. My naps are between 5:30am and 6:15am. The baby wakes at 5:15am, I feed him, put him back to bed, and then I get another 45ish minutes of sort-of-sleep. Still jealous? Moving on. When you have your first baby, after you get over the shock of having a baby and the crazy need to stare at them when they are sleeping, napping for the parents is so easy. 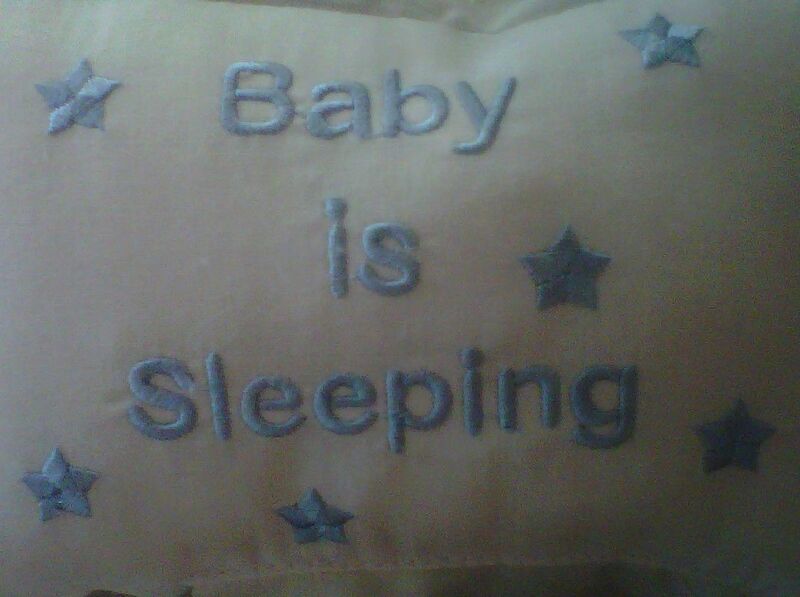 The baby is sleeping? Well then so will I! And you have the opportunity for a 2, maybe 3, hour nap. There are no older kids who need you to help them with the potty, no older kids who forget their inside voices, no older kids who think jumping off of the couch won’t create the loudest noise on earth. But don’t forget to turn off your phones, turn on the noise machine, tell the dog to be quiet, leave a note on the front door that says “if you even think about knocking i will call the police”, and make sure no one within a 5 house radius is mowing their lawn. I once went outside and yelled at my next door neighbors for talking in their driveway. It was nap time. When our second baby arrived, we also had a 2 year old. I learned my lesson with my first baby, so when it was nap time for baby #2, she went right into her crib, noise machine on, door shut, phones off, note on door, dog muzzled. And my 2 year old and I would snuggle on the couch, turn on Sesame Street, and we’d have quiet time. Sometimes my 2 year old would fall asleep and then so would I and the whole house would be napping and it was fabulous. And then came baby #3. When our third baby arrived, we had a 5 year old and a 3 year old. There is not a noise machine loud enough to block the noises this family makes now. During the baby’s precious nap yesterday, an entire plastic box of 40 markers crashed to the floor from the kitchen table. And I managed to crash into and knock down a folding table. That nap lasted about 10 minutes. Not counting the naps the baby takes in the car, because we are ALWAYS in the car, his best naps obviously occur when both kids are at school. So here’s my routine with baby #3: Up at 6:15am, feed him, put him in the living room in front of 154 toys, wake up other kids, make lunches, make them get out of bed or else, feed them, remind them to get dressed, brush (their) teeth, baby in car seat, off to school, go to the other school, home at some point where I feed the baby again, and he usually falls asleep. Noise machine on, everything else off, baby in crib, close his door. And then I sit still, very still. I read a book, I read on the computer, I DON’T turn on the TV because that makes noise. I don’t dare talk on the phone or go to the bathroom. I might eat, but hidden in the farthest corner of the kitchen and I can’t open the fridge. If I obey all these rules, he might sleep for 25 minutes. And the SECOND he wakes up? Before I rescue him from the crib? I go into “get-er-done” gear: In about three minutes I empty the dryer, put laundry on my bed, go to the bathroom, feed the cat, feed the dog, load the dishwasher, empty the trash, put breakfast away, listen to my messages, put the clean linens in the closet in the hallway…everything that I couldn’t do while he was sleeping. Because a sneezing fly can wake baby #3. And that’s how we nap in our house.